Growing up, many people assumed we were Italian, particularly since there weren’t many Iranians in our fairly homogenous community. Sometimes we’d joke that my grandmother was part-Italian, or that my father had flown over Italy and that counts for something. Some customers, among them Italians, would tell us how the food reminded them of restaurants in Little Italy or Italy itself. 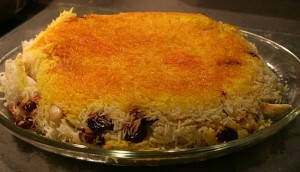 Traditional Persian rice with tadeeq. In our home, my mother’s Persian cooking reigned supreme. But sometimes we’d eat white pizza and eggplant parmigiana from our restaurant, which was also home cooking. At large family get-togethers, we served traditional Persian dishes alongside baked ziti. Anyone who’s grown up in a family restaurant knows that everything revolves around “the restaurant.” You have to cut vacations short, reply “no” to wedding invitations and drive through blizzards to make sure the kitchen pipes haven’t burst. But you’re also eternally grateful to the restaurant. It’s provided you a livelihood: shelter, food, and in my case, a college education. The loyalty I have to Italian food runs deep. 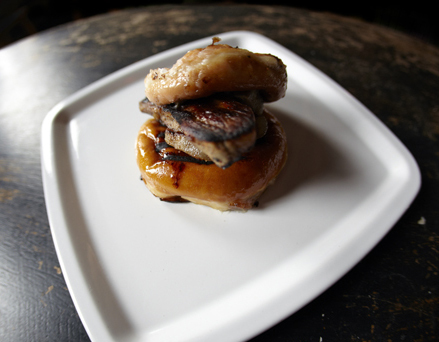 When many of us are feeling a bit nostalgic, we eat comfort food. It’s the food that reminds us we’re loved and a part of something bigger. 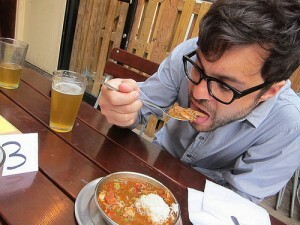 In those moments, I eat kubideh, ghormeh sabzi or simply noon-o-paneer. 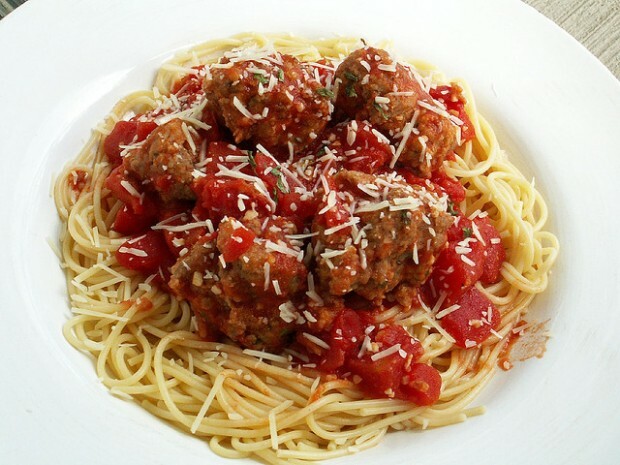 But a hearty bowl of spaghetti and meatballs, made with my dad’s tomato sauce, works just as well. My people may not have been cooking pasta for centuries, but Italian food still feels like home.